I am reaching out to the Gofundme community to turn my terrible tragedy into hope for other large animal lovers who find that they need to evacuate or remove their large animals from danger to safety……In the Northwest we have floods, fires and in my case, a freak accident off of a cliff. My goal is to make sure that we purchase 4 slings (Large Animal Lift) designed by UC Davis and provide the training to make this critical piece of equipment available in 4 locations in Oregon which can be easily reached by the surrounding states, Washington and Idaho …….Here is my story…..
My heart is broken and my dream horse is gone, all in a split second. What if I hadn’t gotten off to get a drink of water? What if I had let someone else lead down the trail? 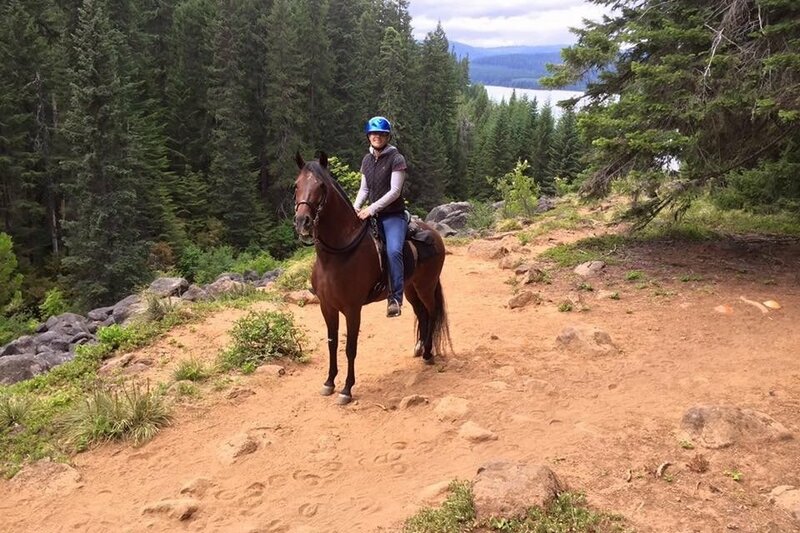 What if we had left on the ride one minute later?....On June 29 this year I was riding with friends on my beautiful horse, Chiqua, on the Pacific Crest Trail on our way to Little Crater Lake in Oregon, close to Mt. Hood. 30 minutes out we stopped (photo shows the exact location where it happened) so I could get some water and seconds later a runner rounded the corner on the trail and startled Chiqua. She started backing up so quickly I could not stop her and like a horror movie I had to let go of her reins to save myself and watch her tumble backward over the car-size boulders down the 500 foot cliff. I scrambled down the cliff to find her about 50 feet down lodged between the boulders. She listened to me and stayed calm as I unhooked and removed her saddle and bridle and looked at all of her legs. She had splint and bell boots on and her legs looked good. Nothing was broken. She had a couple of scratches and gashes, but nothing major. My girlfriends went for help and within the hour I had 5 park employees with me on the cliff. There is no cell service in the wilderness so I asked them to call various helicopter companies to bring a sling and lift her out……I would pay anything to save her and make this an amazing survival story. While they were on their radios to a dispatcher who was making the calls, a member of the Search and Rescue team heard about the situation and left his family who was camping nearby to come help with his gear. We needed a helicopter to lift her out….bottom line. The Air National Guard turned us down because it didn’t involve human life, the two other helicopter companies didn’t have any helicopters available and another group didn’t have one big enough to lift her out…. I was desperate, I gave them phone numbers of influential people I knew in hopes one of them could find a helicopter that could save us. Finally, one company said they would try it, but they didn’t have the proper sling or straps but perhaps what they had would work. It took him an hour to get up the mountain and another hour to land and get the rigging ready with a 200 foot line to pluck her out. By the time they reached us and our first attempt to strap her in I had already given her 2 tubes of Dormansen Gel and 2 doses of Ace to keep her calm, it was close to 7:00 pm. And the pilot told us we only had until 8:20 before he would have to leave because of the darkness. We were frantic to get the sling around her but she was now lodged in so tightly and we couldn’t do it with the massive basket apparatus we had to work with. They attempted to lift her on two occasions but we could all see that she would slide out and we didn’t want that to happen. She was now slamming her head into the boulders and I tried to put my limbs between her beautiful face and the rocks but couldn’t all of the time. At this point, we all knew we had to let the both the Helicopter and my beautiful Chiqua go. There was no chance of getting her out and she had now bashed her head so many times I knew she had permanent damage. I was helped up out of the cliff and away from view but nothing could keep my ears from hearing the gut-wrenching sounds………..3 shots from my own gun to put her out of her misery. It was over….. I couldn’t save her……The men and I had spent 7 hours with her in the rocks and we all cried. 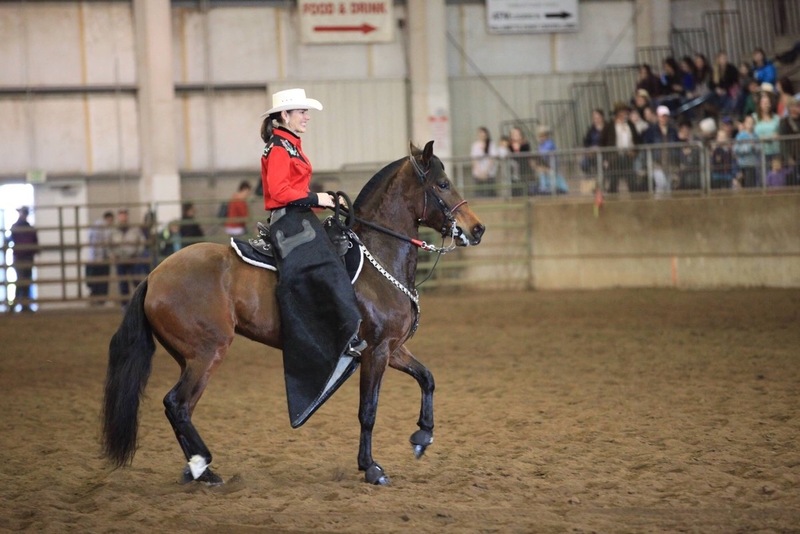 We are all still grieving for the loss and are trying to find some way to honor her by having a better outcome for someone else’s beloved horse. She was my horse that morning, but now I share her with the men and women who worked so hard to save her that day. What would have saved her? The proper livestock sling…….A list of what organizations could have been contacted to respond……A faster response time…. This could have worked. We want to make sure that next time it does. P.S. One of the organizations involved received a call 2 days later that an agency had located the one and only sling in our area. It was lost during a move of their materials room. P.P.S. The runner never slowed down or stopped. Time to start disbursing equipment in memory of Chiqua....I am so pleased that momentum is growing and clubs and organizations are starting to mobilize to outfit, train and educate their members in emergency horse rescues. Last night I delivered a Large Animal Lift to WTRA (Washington Trail Riders Association) at their January meeting. Also present was a representative from the Clark County Executive Horse Council who received a grant to purchase more equipment and train their members on horse rescues. They stated they changed their focus for the funds after hearing about Chiqua and the need to improve our resources for emergencies. 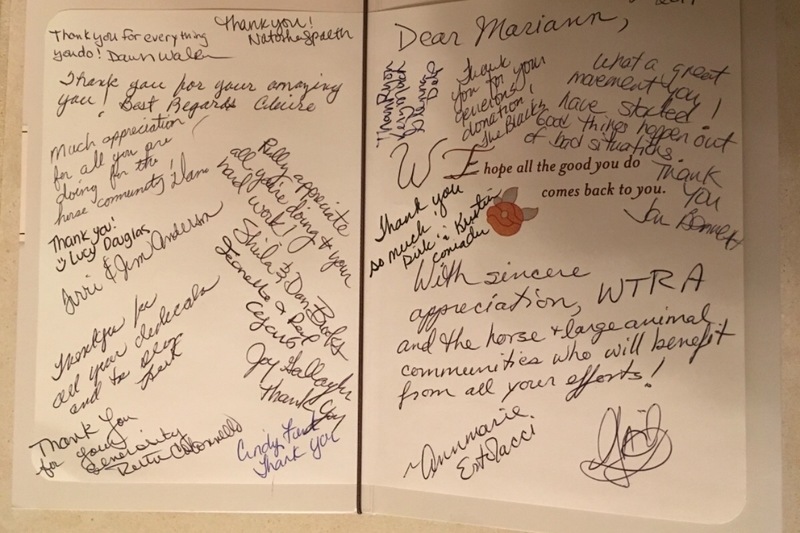 The members gave me a card with so many heartfelt comments. I love you all for caring so much.....and of corse I cried when I read them all at home last night. THANK YOU! Tomorrow I am delivering a glide and helmet to Jennifer and Ben at the PNER (Pacific Northwest Endurance Riders) conference being held in Portland. There they will have the previously donated Anderson Sling and other rescue Equipment they have purchased on their own to train others. 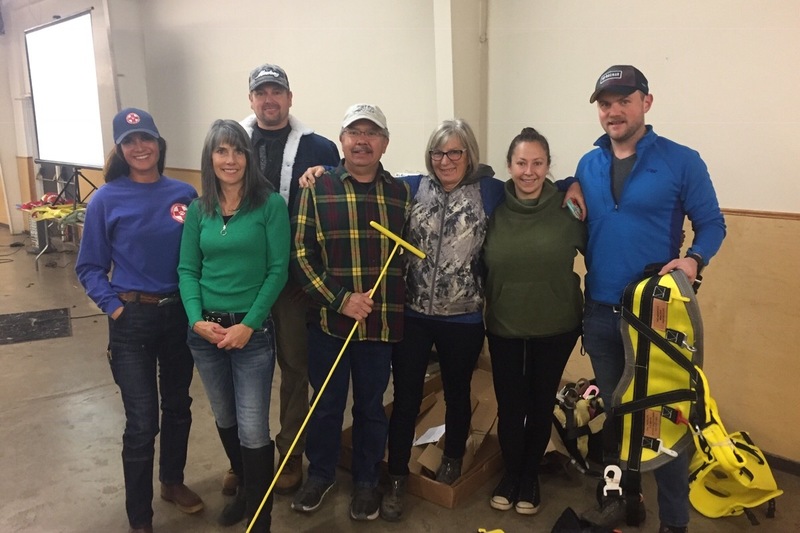 Sunday and Monday there will be another Technical Large Animal Rescue class being held to train and certify more people of horse rescue and all of this new equipment will be used. I WANT TO DISBURSE ALL EQUIPMENT AND GET OUR NETWORK UP SND RUNNING IN 2019. PLEASE NO MORE DONATIONS...Please let me know if you would like me to speak to your group or club, or if you know of emergency responders that would like to come to my farm and get hands-training with live horses. We have to educate the non-horse people too! So much has happened since the last update.......I picked up $20,000 worth of equipment in from CDA Products in Potter Valley California. 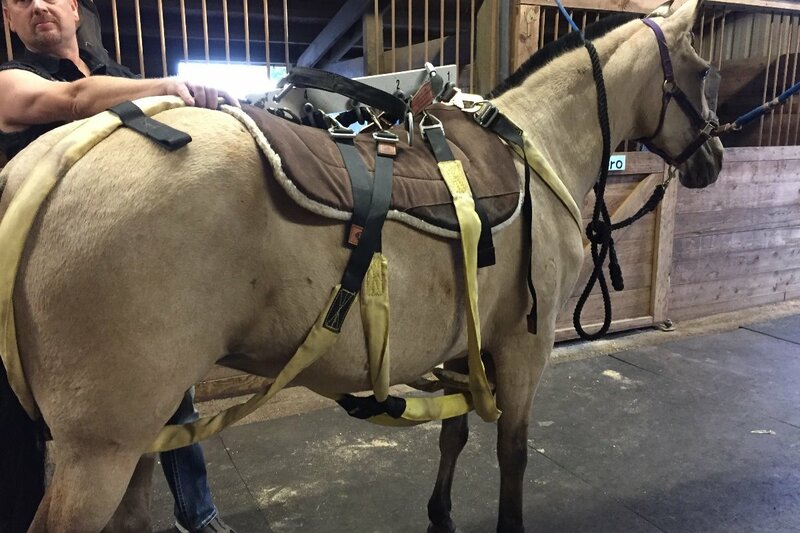 An Anderson sling has been donated to Jennifer and Ben, the owners of Huckleberry who was rescued in September in the Easton Washington area. They will also receive a large glide and horse helmet on our next meeting. The Washington Trail Riders Association WTRA asked me to speak at their November meeting where I will donated a Large Animal Lift LAL to their group when they determine where it will be kept and who will be responsible for the upkeep and maintenance. 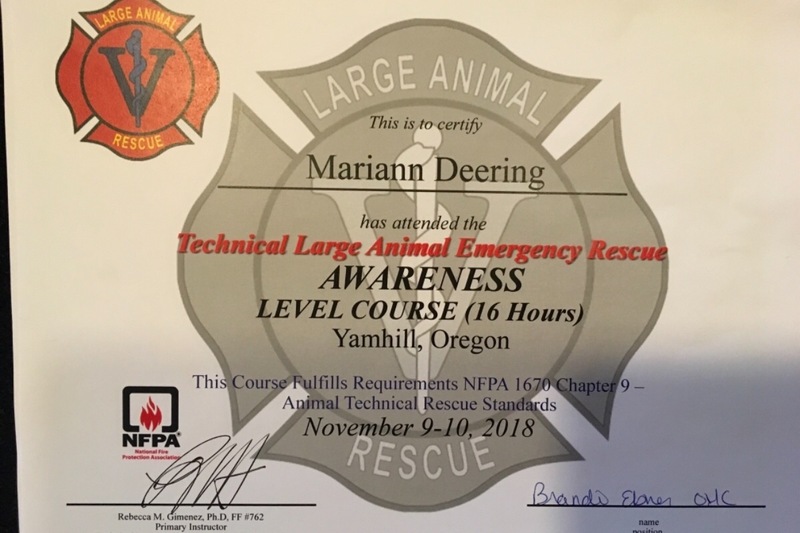 I attended the technical large animal rescue class TLAR held in November in McMinnville Oregon and receive my certificate along with several other individuals who were also involved with the Chiqua and Huckleberry rescues. Because this class was so successful and had a waiting list, another class will be held in Oregon the end of January. I feel a surge of interest in both Oregon and Washington for all of us riders to equip ourselves and to assist each other and our first responders in future large animal rescues. 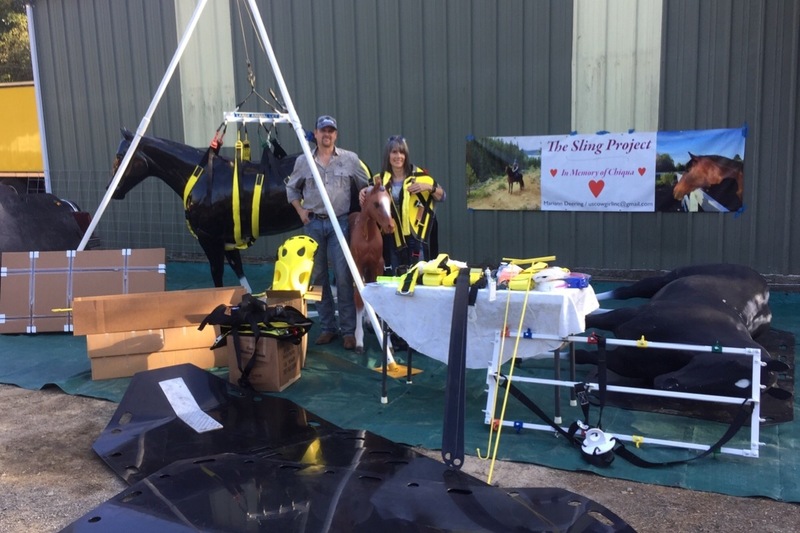 It’s important for those who are receiving donations from The Sling a Project to pay it forward and invite their local first responders to their barns in order for them to become familiar with how to install this equipment and to deal with horses, even under the best of circumstances. Once I get through the holidays I will be donating more equipment to various organizations and will be inviting my local first responders to my farm to learn about the equipment. I hope that the equipment is never needed, unfortunately, this is not the reality. Thank you to everyone who has donated, offered support or a kind word regarding The Sling Project. I love you all. My update today is about all of the fabulous people I met while trying to save Huckleberry in the Washington woods close to Easton. It was a similar situation as Chiquas, but this time we had two slings...an Anderson that was found in Pullman Washington and a Large Animal Lift found in Portland Oregon. It took over 6 hours to drive to Pullman and back for the volunteers and I picked up the LAL at a local airport. Both were used and were missing very important leg straps necessary for the lift. We ended up using the Anderson lift with some modifications and Huckleberry was successfully lifted out of the ravine into his waiting owner's arms. Unfortunately, his injuries were so severe he had to be put down at WSU later that night. What did we learn? ?....IT IS CRITICAL TO ALWAYS MAKE SURE THE EQUIPMENT IS 100% BEFORE YOU ATTEMPT THE RESCUE, AND THAT THE ANDERSON LIFT was the only lift hat would have worked in this situation. The LAL (Large Animal Lift) is great when removing a horse from mud, water or to drag it out of danger, but now I have to re-assess what I think will be best for our mountainous terrain since I was able to be involved in this recent rescue. I am changing my Sling Project to raise $20,000 to include my new Washington horse friends. I think I can figure out what state the donations are coming from by checking FB, or you can note it in your message to me, so what I am hoping to do is to raise more funds to buy an Anderson Sling for both Washington and Oregon (approx. $6,500 each and training), and continue to purchase 3 LAL(approx. $2,000 each) to be used as I had previously stated. Keep in mind, these prices do not include shipping, but I have the ability to drive down and pick them up and be trained. Please check out www.andersonsling.com and other products from CDA Products, Care For Disabled Animals, Inc. The attached picture is of my mare, Sissy, being used as a model to understand how to fit the LAL Sunday night before this recent rescue. Thank you!